COLUMBUS (WCMH) -- Columbus police have identified the man shot and killed on the city’s east side, yesterday morning. 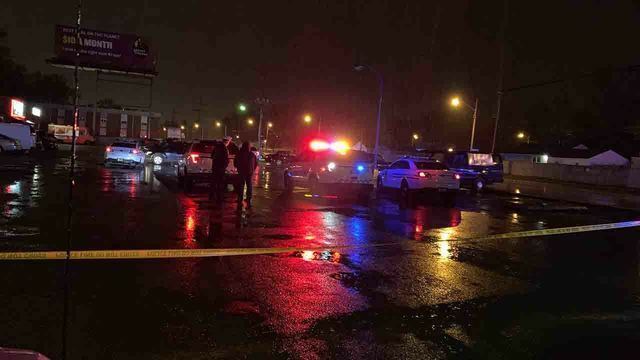 According to the Columbus Division of Police, at about 4:45am, Sunday, officers were called to the area of S. Hamilton Road and E. Livingston Avenue on the report of a shooting. When police arrived on scene they found Adane Kinde, 34, suffering from multiple gunshot wounds. Kinde was taken to Mount Carmel East Hospital where he later died. Police continue to investigate and ask anyone with information on this shooting to call the CPD Homicide Unit at 614-645-4730 or Central Ohio Crime Stoppers at 614-461-8477.